I recently came across the illustration of Izziyana Suhaimi on Pinterest via Catherine Green. 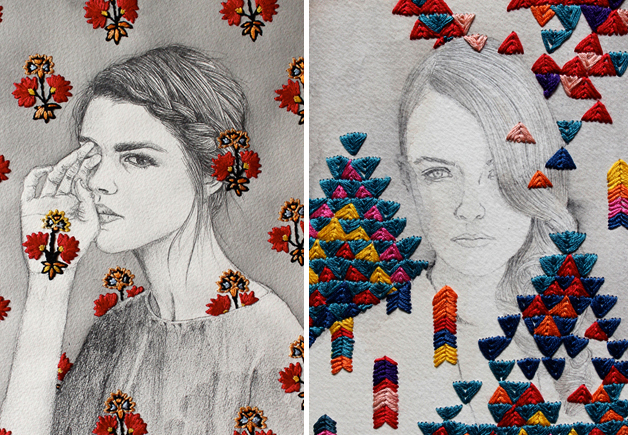 Izziyana's work stopped me in my tracks with its unusual meld of hand-done embroidery and black and white illustration. I love the way the embroidery gives the pencil and watercolor so much dimension, interest and life.